Do You Want This Year To Be Your Most Successful Year Ever? You Can Make That Goal A Reality By Tapping Into Financial Planning, Leadership Skills, Strategies & Systems! This is a CoachMe Program designed to help you stay focused and reach your goals. It consists of 12 modules. You have the option to either join us live or access the content from the private member page at your convenience. Below is the monthly schedule. 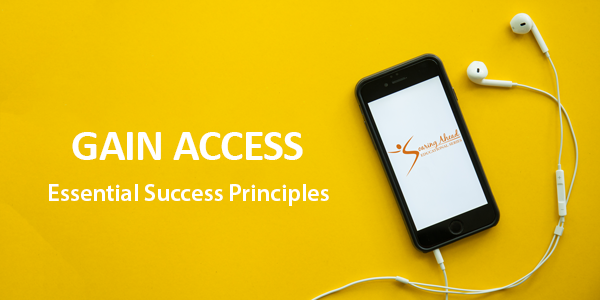 As a member, you will have access to a private member page where you can download audio recordings and BizTools from each month. You never have to worry about missing a live call. We offer total flexibility, as you will have access at your convenience. As an entrepreneur, it’s essential to always innovate and introduce new revenue streams, treatments and products to your consumers. This leads to exponential growth. However, many get stuck doing the same thing day after day. In this module, you will discover new programs and the latest treatments, trends and products that consumers are demanding. Discover how to liven up your medi spa or spa menu. Learn how to offer enticing programs to increase guest satisfaction, fulfill needs and earn more revenue. One of the biggest mistakes I see people make is paying the spa or medi spa team the wrong way. We believe in the Performance Based Compensation model: the more they bring in to your business, the more they can earn. Just like in sports: The A players earn a lot more than the B or C players. In this module, I will share an effective compensation model that will help you cut your payroll cost, give your team the opportunity to earn more and increase your profit margin. Everyone wins! If you are not operating at high space capacity level, you need to make that a priority. Discover how to generate qualified traffic that you can convert into clients and lifetime clients. Most medi spas and spas drop the ball when it comes to generating traffic. You need a lead generating program and a conversion process to increase traffic. In this module, you will learn essential principles to help you implement an effective model. This will increase capacity and lead to soaring revenue opportunities. There is a medi spa and/or a day spa on every corner. How do you differentiate yourself from the competition? Many don’t, but you need to. In this module, you will learn how to set yourself apart and attract the right type of people to your spa and medi spa to purchase and repurchase from you! Instead of pushing discounts, you will learn key differentiation tactics that will improve your positioning, raise your prices and allow you to become more successful. Are you marketing your business using videos? If not, you need to listen to this module. Did you know that four times as many clients would rather watch a video about a product than read about it? YouTube has more than a billion users, almost one-third of all people on the Internet. If that is not enough to motivate you to do videos, I don’t know what is. In this module, you will learn secrets on how to do effective videos that will turn you into a star. Start practicing Pull Marketing, which will attract the right people to you who need your help and will pay you top dollar for it. The number one challenge medi spas and spas experience is lack of sales. Sales is often a dirty, little word. No one wants to sell anything. If you want to increase your bottom line, everyone on the team needs to be focused on revenue generation. In this module, you will learn how to change the team’s mindset and teach them a system to help them recommend and not sell. Once you apply the system, your guest satisfaction and sales will soar. Are you still running your business under the A La Carte model? People come in, they do one treatment and leave, and you hope and pray they will come back. Stop that. Learn how to conduct proper consultations that will have your clients coming back over and over, not just one time. In this module, you will use the SACRED system and other strategies to increase spa and medi spa retention and revenue. Most websites are nothing but an online brochure. People come and go quickly without taking any action. You can change all that by implementing some great online money-making strategies. They will have you earning money while you are sleeping. You will learn what to sell, how to upsell in the shopping cart, how to keep the audience engaged, how to gather their information to generate leads and much more. All this leads to increasing sales. Are your receptionists order takers? Most are. If you are ready to revamp your guest relations department, this module is for you! It’s time for a transformation to turn them into revenue generators. This department is one of the most important within the spa or medi spa, yet often it’s not considered as such. In this module, you will discover how to structure the department, pay and train the team, and much more. Many spa and medi spas do a great job teaching the team the technical part of their position, but fail to train and coach the team on business. In this module, you will discover a must-have business training and coaching curriculum needed to ensure success. It includes the ICARE coaching model and necessary manuals needed to ensure consistency, accuracy and growth. Training and coaching the team on business does pay off! Most leaders ask me, how do you motivate a team? The answer: There are several things a leader can do to motivate and keep the team motivated. In this module, you will discover necessary steps you need to take and implement to have a motivated team. The content includes intrinsic and extrinsic methods to motivating your team, so they can be a high-performance team. Purchase For Only $1,788 $999! This Complimentary Podcast will provide you with four effective business principles. Complete the form below to receive the download in your inbox.